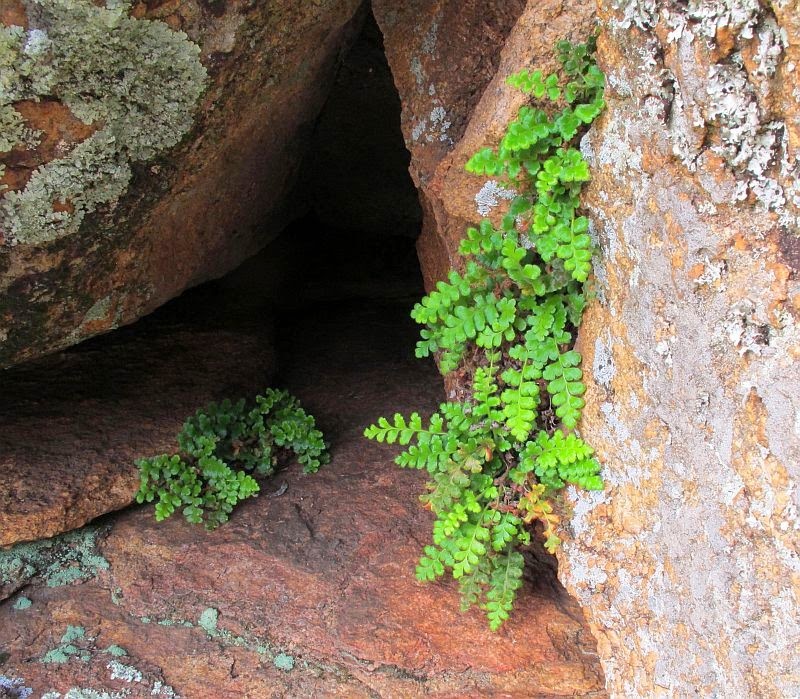 This attractive fern with its velvet textured fronds prefers the warmer and drier regions and is most commonly encountered in rocky areas (especially granite), where it favours sheltered crevices where moisture might be preserved, although the immediate surrounds are dry and barren. 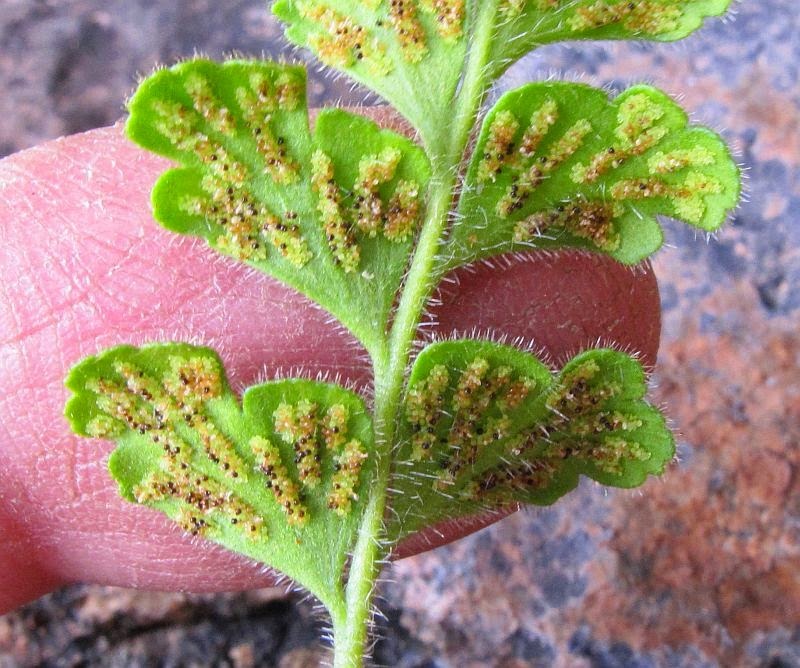 It is surprisingly very widespread in all States, but mainly south of a line from Wittenoom (WA), to Alice Springs (NT), then to Bundaberg (Qld). 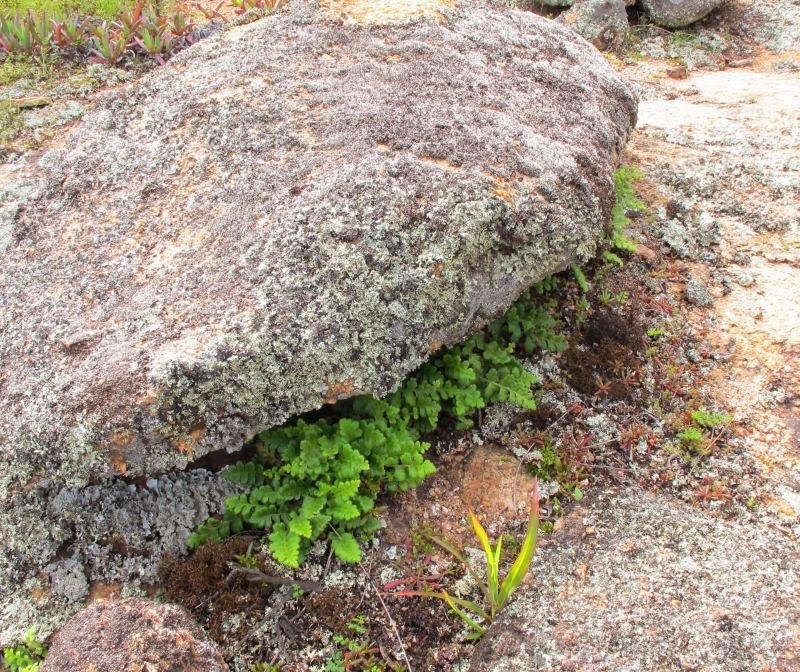 Pleurosorus rutifolius spreads to fully occupy its rocky crevice by a scaly rhizome that catches and holds fine soil particles in which to improve its rocky environment. 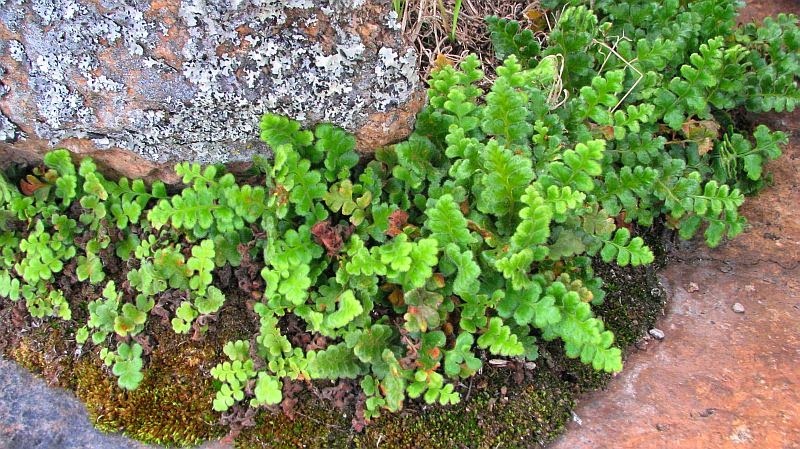 The soft fronds seldom excess 15 cm (6”) in length, but grow densely along the rhizome to provide additional insulation. In wetter areas a more open growth habit, plus greater exposure would be the norm, a change to compensate for its preferred arid habitat. 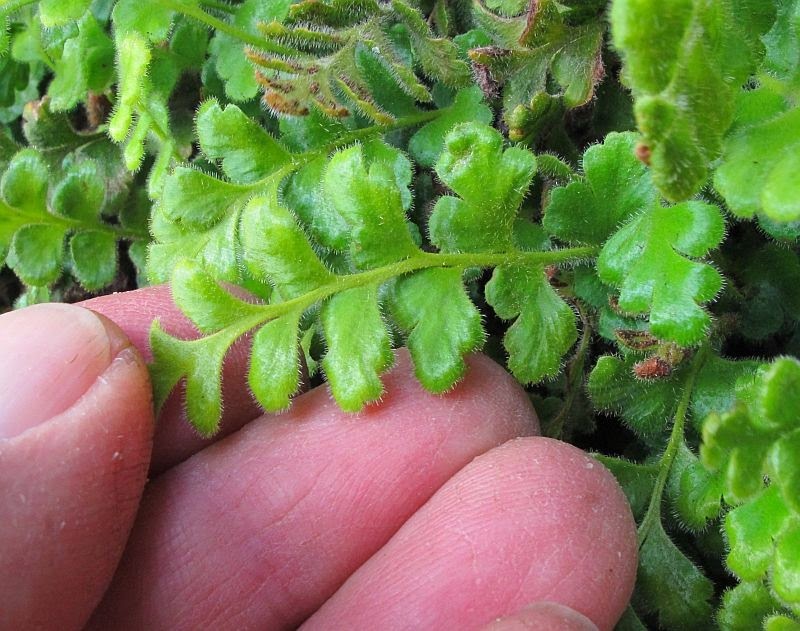 The arrangement of the sori (little clusters of balls containing the spores) is an important identification feature and like its close relatives in the Asplenium genus, are sited on the underside of the frond and along the inner veins. 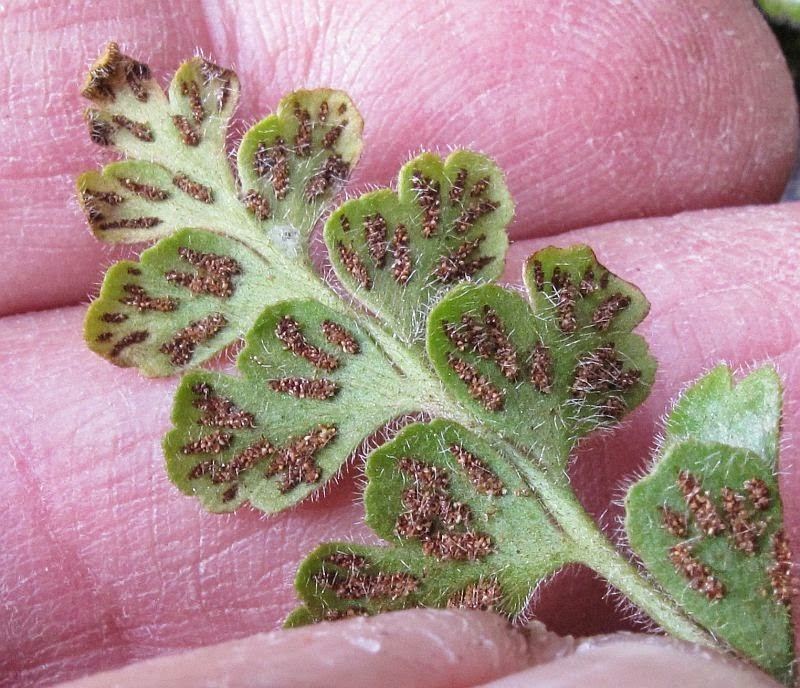 However unlike Asplenium, they are quite exposed and not protected by a scale-like covering (indusium). 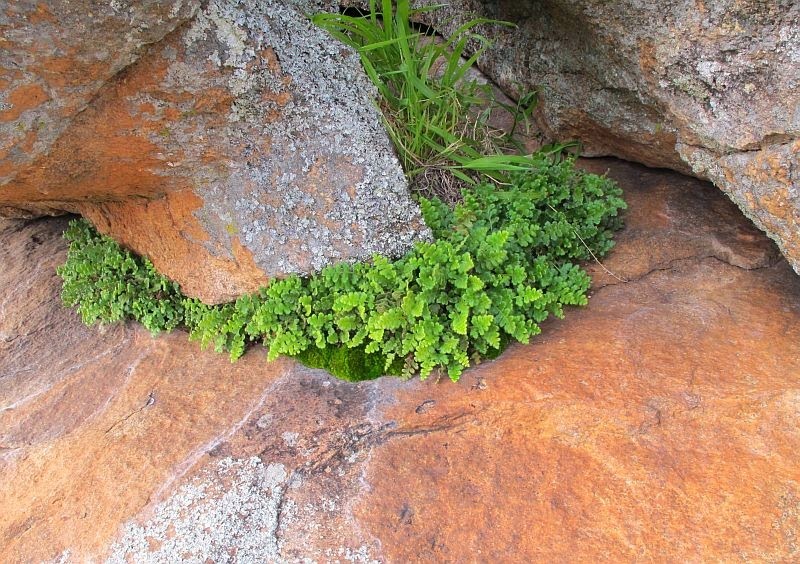 Pleurosorus is from the Aspleniaceae family, although some references may list under Polypodiaceae.